Inspired by the popular novel _At the Mountains of Madness_ by H.P. Lovecraft, Mountains of Madness is a new crazy creation from Rob Daviau, with illustrations from the great Miguel Coimbra (Sea of Clouds). 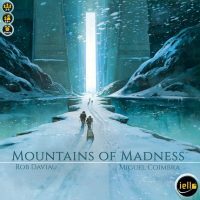 Add a Review for "Mountains of Madness"